All natural. 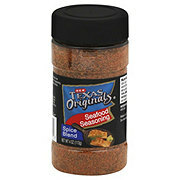 I select the finest all natural herbs and spices to create my Magic Seasoning Blends. 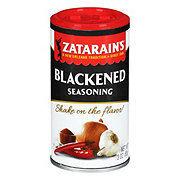 They add an incredible depth of taste to everything you cook. 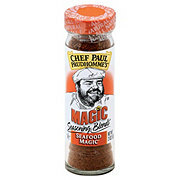 Life's too short for dull food - Chef Paul Prudhomme. 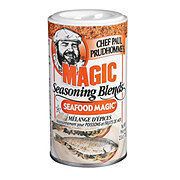 Blackened Redfish Magic contains a uniquely balanced mixture of herbs, spices and salt; and maintains its popularity with chefs and home cooks alike since being introduced in 1983. 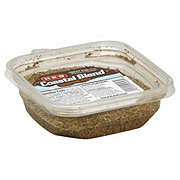 Great on any fish or seafood, but also widely used on poultry, meat, vegetables, soup, rice, bean and pasta dishes. All natural, no MSG, no preservatives, gluten free. 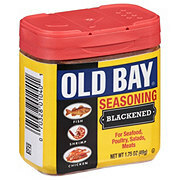 Use instead of salt, pepper and all other herbs and spices. 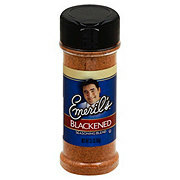 It's a spice rack in a bottle! Ingredients Salt, Spices, Dehydrated Garlic, Paprika, and Dehydrated Onion.